Base Notes: Sandalwood, osmanthus and Indonesian patchouli. Fresh, juicy apricot and orange with hints of floral are the characteristics that make CARVEN Le Parfum the perfect scent for the spring and summer. In fact, I used nearly one quarter of the bottle this past season pairing it with two of my favorite body mists: Essence of Beauty Luscious Peony and Kiss of Honey. I am also bringing it along with me on our next trip to Mexico, which is a warmer climate for which this scent would be perfect. CARVEN Le Parfum isn’t one of the longest lasting fragrances I’ve worn or own, which means I’d have to carry around the bottle (or rollerball) to refresh the scent throughout the day. It’s one of those fragrances that exude a quiet femininity, perhaps a perfect wear-to-office scent, but definitely not something that calls for attention. A purposeful counterpoint between a very minimalist, almost utilitarian bottle, and a high-fashion stopper. 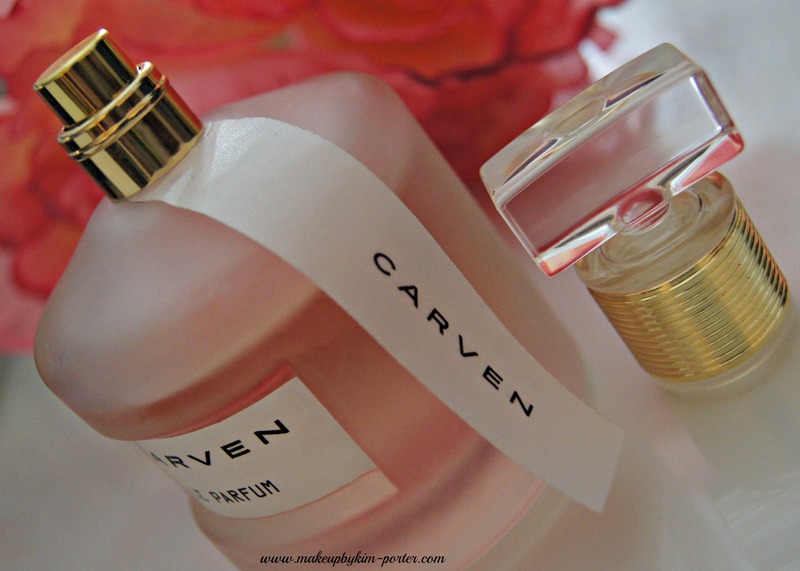 I’m all about simplicity and elegance when it comes to designs and packaging, which is why I love the CARVEN Le Parfum. The simple, frosted glass bottle with a clear, gold banded topper, adorned with a white ribbon that has on it the CARVEN brand in black letters was designed by Thierry de Baschmakoff. Simple, fresh and delicate, if any of those characteristics are things you look for in your signature scent, CARVEN Le Parfum just may be something to sniff out during your next visit to your local MACY*S, Nordstrom or SAKS. 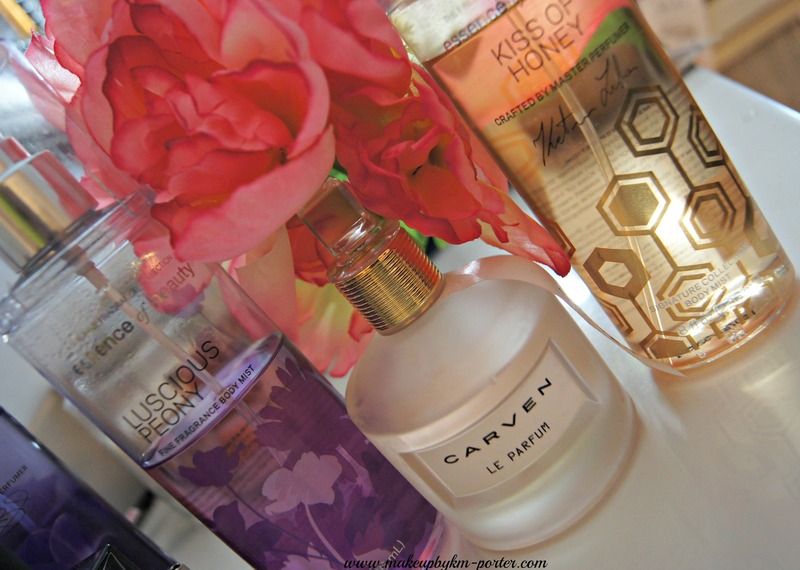 The 3.33 Fl oz bottle of CARVEN Le Parfum retails for $112.